The arrival of a brand new 30m3 VOCSorber® carbon filter generated considerable interest when it was delivered to a customer site in southern France earlier this week. The landfill biogas facility will use the activated carbon filter to remove siloxanes and other VOCs from the biogas stream, to protect the CHP engine on the site. 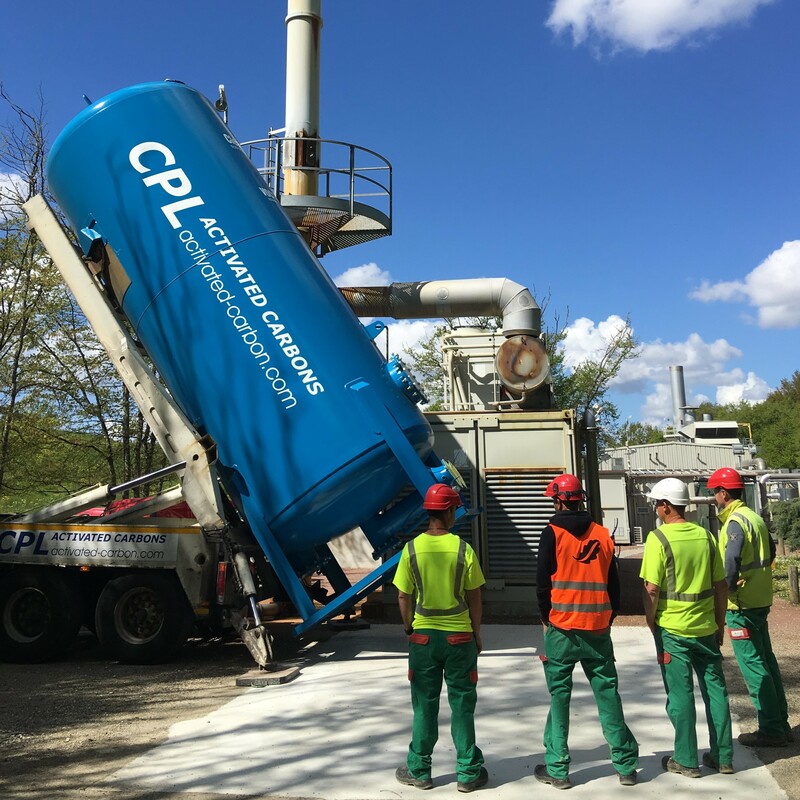 The Clean-Flo® 30m3 VOCSorber®, made in-house by our subsidiary CPL Icon, is the largest mobile carbon filter on the market and has been designed specifically for use in the landfill biogas (LFG) sector. Once the carbon is ‘spent’ it can be recycled at our thermal reactivation facility in the UK, a state-of-the-art facility, that had its capacity trebled last year following the installation of a new rotary kiln, one of the largest such facilities in Europe. For more information about our range of carbons and services for the biogas sector, please visit our stand at the UK AD & World Biogas Expo in July at the NEC Birmingham, where you will be able to view one of these impressive 30m3 mobile filters.